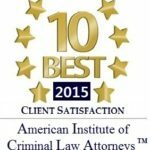 At the Shawn M. George Law Firm APC, we have built a reputation as unwavering fighters, determined to help our clients achieve success. Based in Los Banos, California, we zealously advocate on behalf of clients throughout the Central Valley and surrounding areas, providing high-caliber legal services that protect clients’ rights. With years of legal experience, we have the knowledge, skill and resources necessary to effectively represent clients in a wide range of civil and criminal cases. We represent clients who have suffered serious injuries or lost a loved one because of someone else’s bad decisions. Shawn M. George understands the business climate and are well equipped to meet the needs of corporate clients of all sizes. We offer the personalized attention you deserve, and make the best possible outcome and our top priority.